No, it’s not a joke name; he’s real. In fact, the Duke is a very pleasant man who just happens to live in a castle … well, technically it’s a palace. Castles are fortified; his is not (despite the many old weapons hanging on display). I got to shake his hand and talk to him for a bit, which was cool, because I’d never met a duke before. Can’t say that any more. 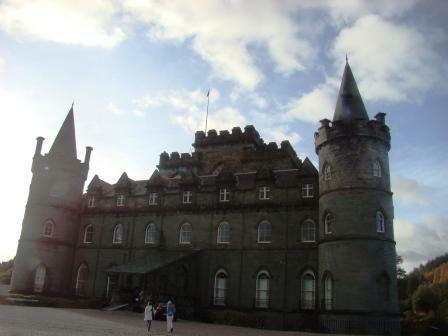 This entry was posted in Scotland and tagged Duke, Duke of Argyll, Perthshire, Scotland on November 19, 2008 by Tom.